Weekend is a perfect time to enjoy some starter and snack with your family. 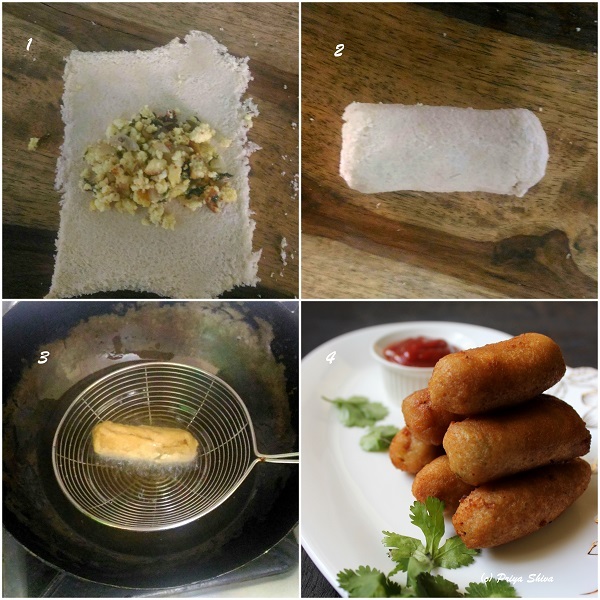 Make these quick and easy Bread paneer cigars which your family can enjoy. 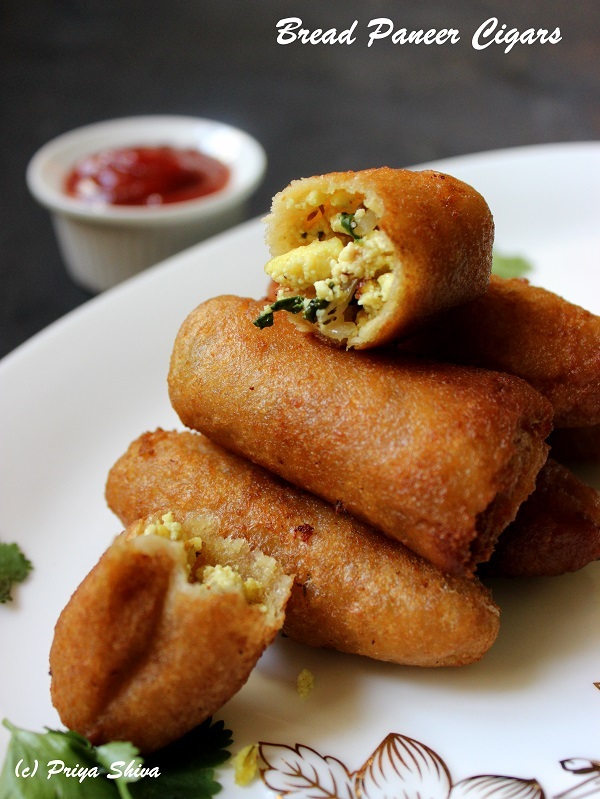 They are so easy to prepare with few simple ingredients and you can serve them with any dip of your choice. 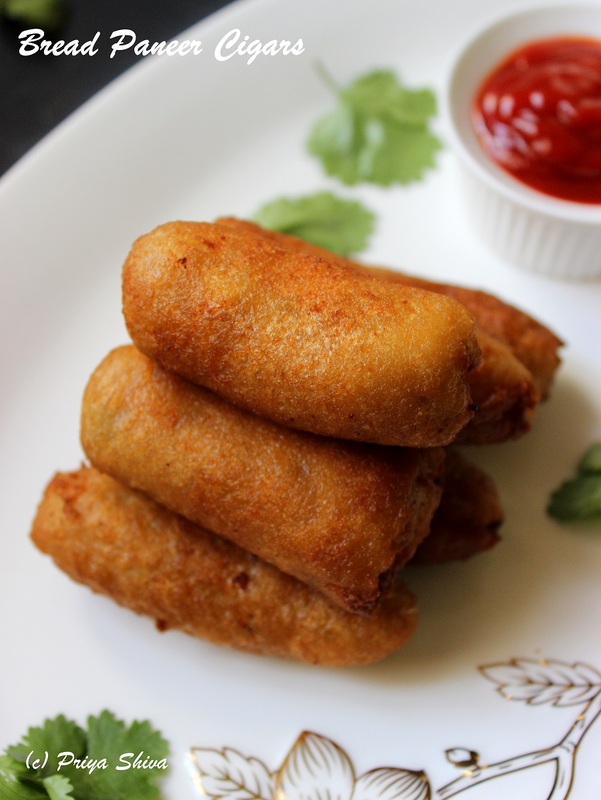 Make a mouthwatering snack with bread and cottage cheese filling! Add 1 tsp cooking oil in a frying pan and when its warm add cumin seeds and chopped onions to it. When onions turn translucent, add crumbled paneer, chopped spinach, salt, turmeric powder, red chili powder and black pepper to it and mix it well. Saute for few minutes. Add chopped coriander leaves and mix well. Transfer the filling into a bowl and keep it aside. Remove sides of the bread and flatten each bread slice using rolling pin. Take one flattened slice of bread and sprinkle few drops of water over it. 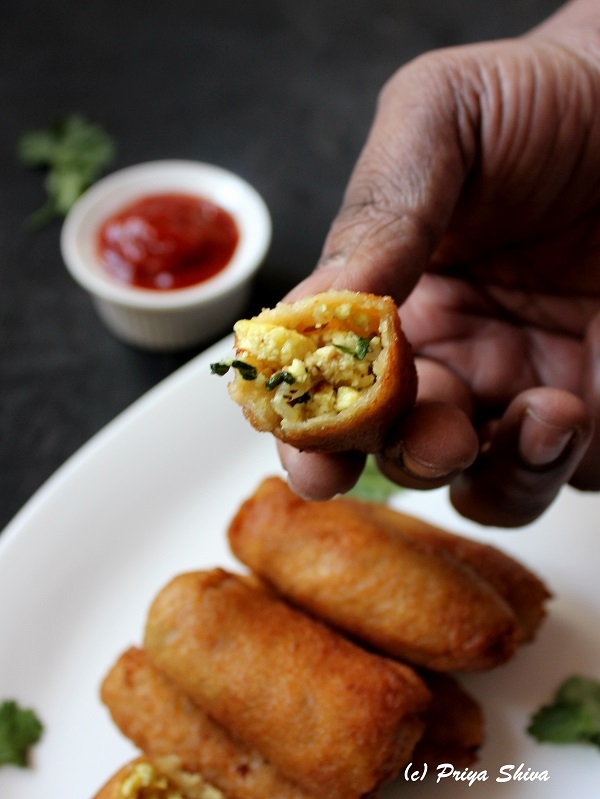 Place a spoonful of filling in the middle and roll it gently. Wet the ends with few drops of water and close it. Heat oil in a frying pan to deep fry the cigars. When the oil is warm, lower the flame. Deep fry these cigars gently in oil till they turn golden brown. Serve it hot with some tomato ketchup or any dip of your choice. Love that filling… very nice! Testy dish. name is funny though! In Mumbai, we call it as bread roll.